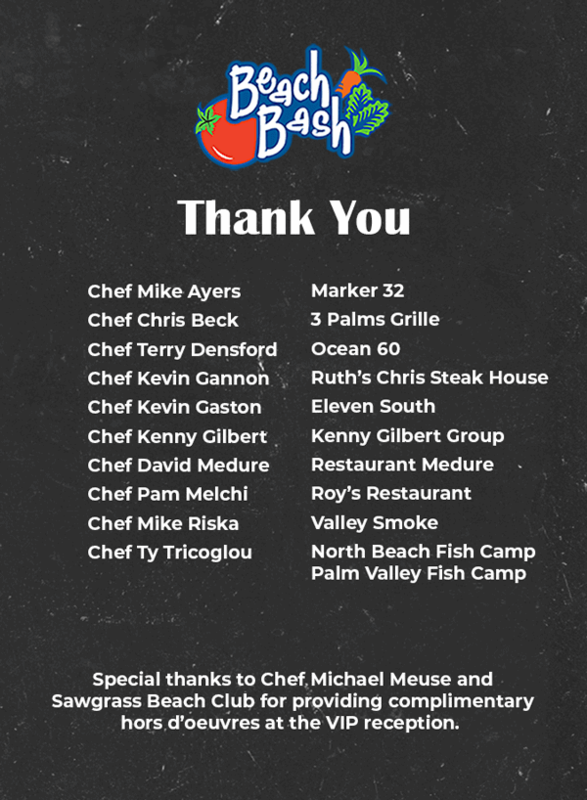 The 2018 Beaches Habitat Beach Bash is officially “in the books” and the event was a huge success, thanks to our amazing sponsors, donors, volunteers, and restaurants! Chef Mike Riska of Valley Smoke! 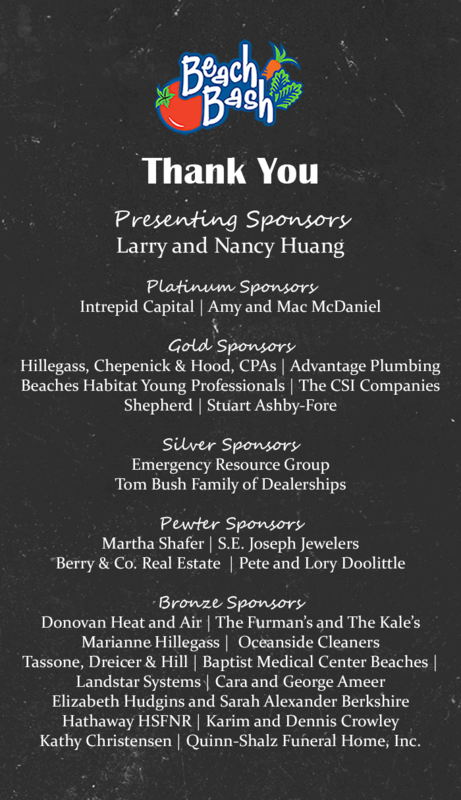 The gourmet food provided by all the restaurants was fantastic and we believe they are truly all winners for their generous support of Beaches Habitat for Humanity! And last, but certainly not least, we are beyond grateful to this year’s Honorary Event Chair, Amy McDaniel. The event continues to get bigger and better every year because of Amy’s tireless efforts! Thank you, Amy. On behalf of the families who will be helped by the funds raised at the 2018 Beach Bash, we thank you from the bottom of our hearts.